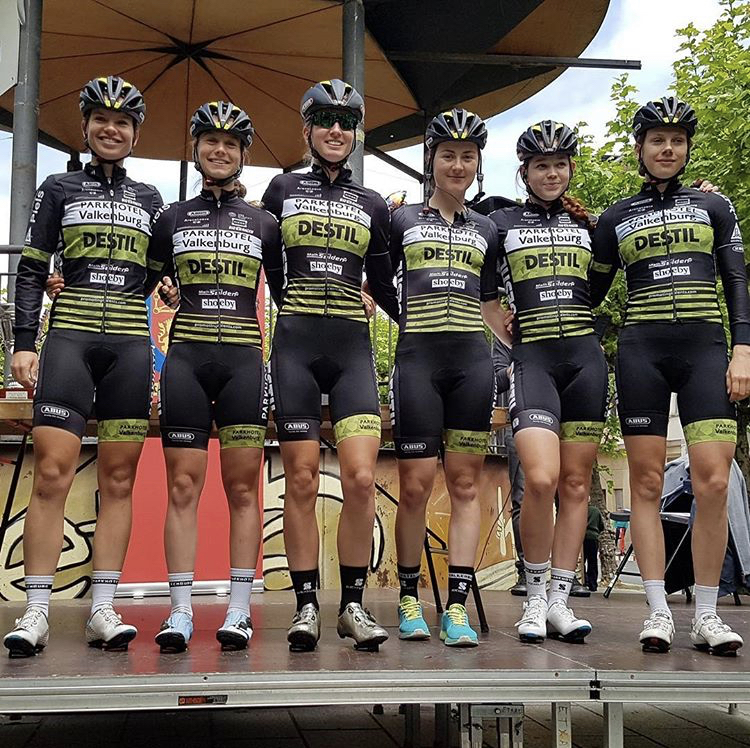 We have been the proud sponsor of ladies Pro Cycling Team Parkhotel Valkenburg #PushingDreams. 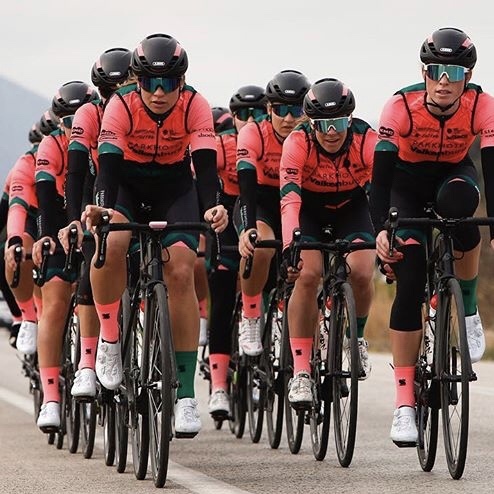 Every year we work together for a new design for the perfecte custom sock matching there cyclingkit. 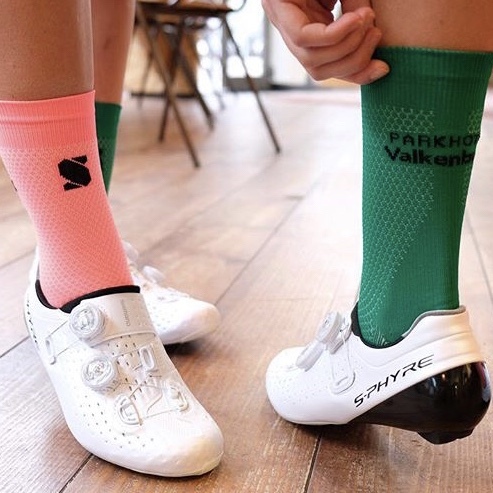 You can also create and design your own custom socks! 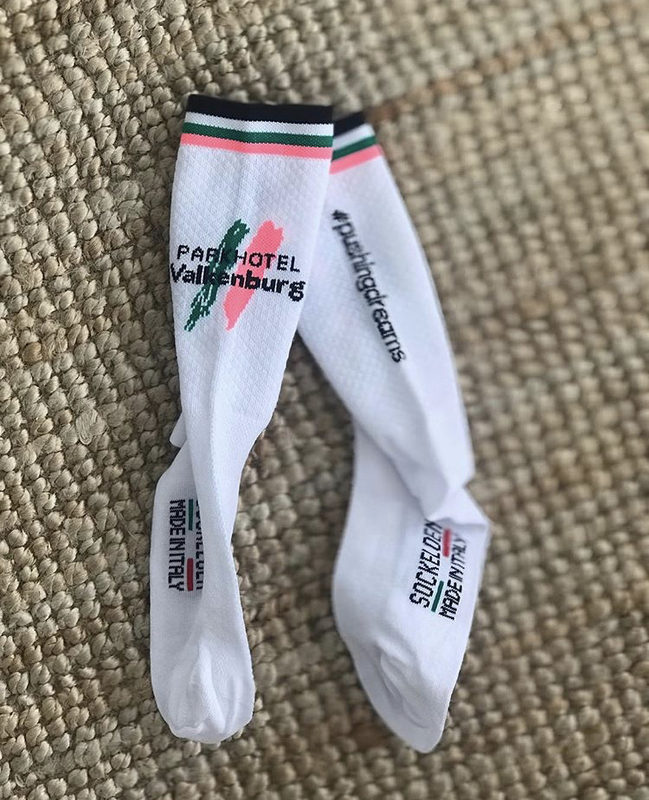 We already make custom socks from 1 pair. so even for the most difficult designs you can come to our company. The mission and vision of the team really appeals to us. on a safe and professional environment. With this design we were looking for something different and notable. With this design we wanted something simple but stylish. We searched for the perfect color that matches the clothes. 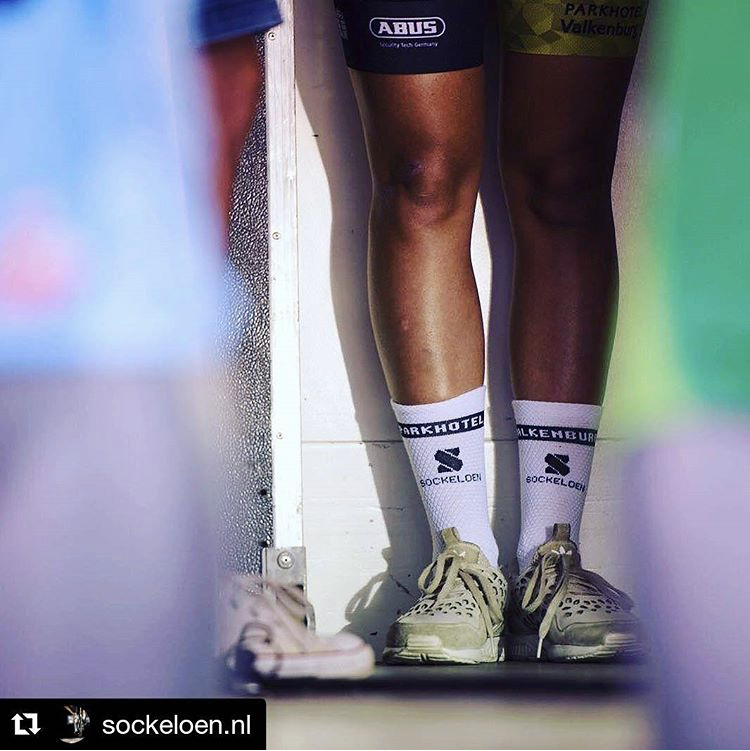 With this design we choose for white and black socks so everyone could choose for them self which colour they want to wear! 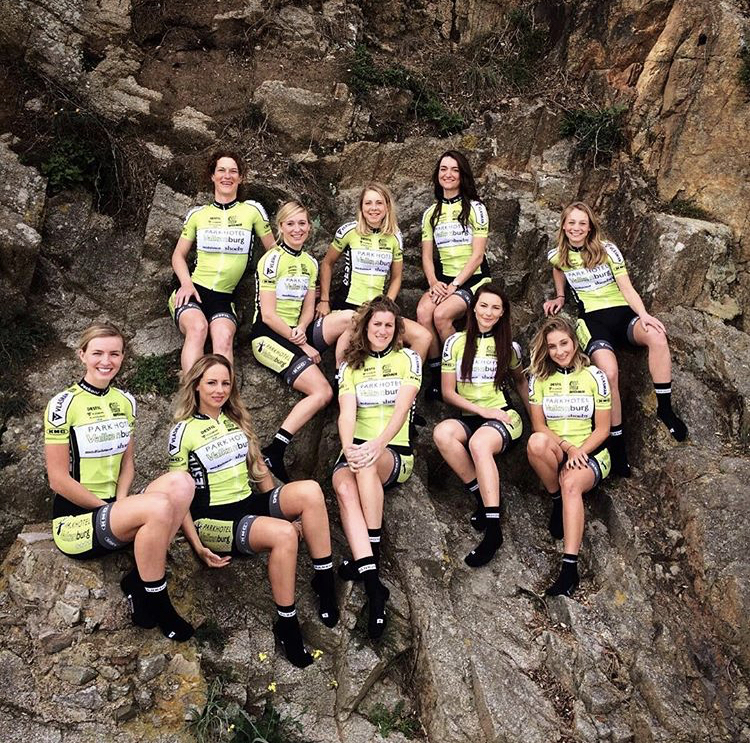 This was the first year of the ladies team. 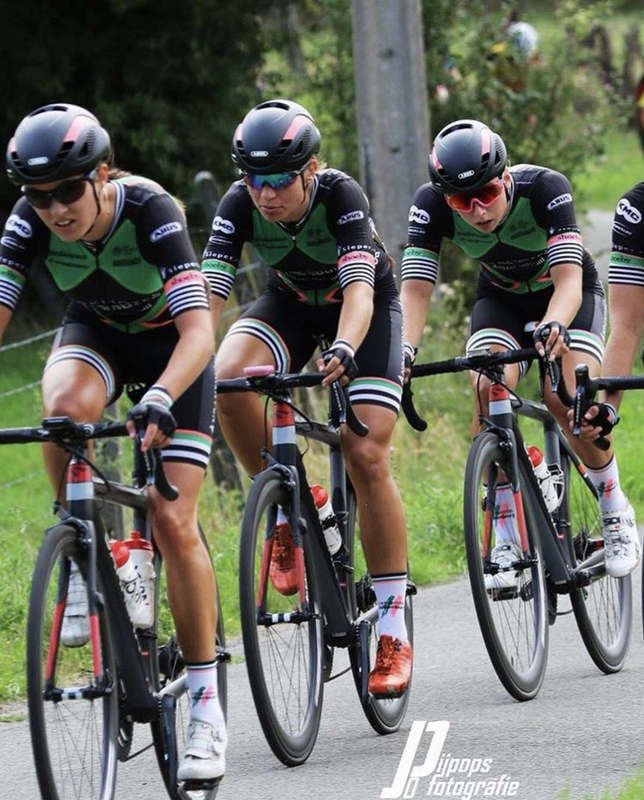 We choose a basic black sock because the fits good with the green with black kit.